CLEVELAND -- A former Cleveland police officer who was fired for shooting an unarmed teen robbery suspect in 2015 can get his job back. 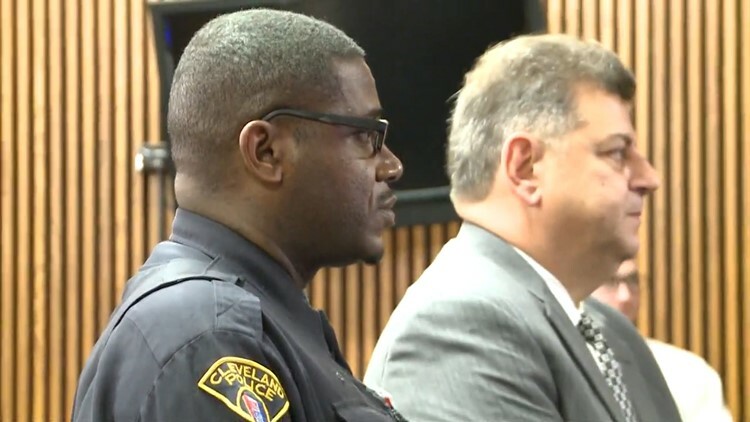 Cleveland Police Patrolmen's Association President Jeff Follmer tells WKYC that an arbitrator ruled officer Alan Buford can return to work and receive back pay. Buford was a 21-year veteran of the force. He was fired last year after the city ruled he violated its use of force policy when he shot and killed 18-year-old Brandon Jones during a burglary call on Parkwood Avenue in 2015. Jones was unarmed, though he was carried a bag of alleged stolen items. Buford was acquitted of negligent homicide charges in the shooting in July 2017.